Most people don’t give a second thought to their cars until it needs to be repaired. Routine maintenance is vital to the continued health of your vehicle. Here are some reasons that you shouldn’t put off having your vehicle serviced. The longer that you wait on repairs, the more costly the repair bill. This is because preventative maintenance keeps your car in good working order. If you neglect your car, it won’t continue to run right for you. The chances of a breakdown dramatically increase with each skipped maintenance activity. The manufacturer created the maintenance schedule for a reason. Many people may think that this maintenance is optional. This will only drive up the cost of repairs in the long run. Things like forgetting to change the oil on a regular basis may not seem like such a big deal. This cumulative wear and tear effect is causing excess damage to your vehicle. Another thing that is often overlooked is changing out the air filter. Maybe clean air isn’t that big a deal to you. So what if your engine filter is a little dirty. A dirty air filter can cause your engine to have to work harder. Engines that work harder are more prone to suffer from a breakdown. The end result of overlooked maintenance is that your car won’t last as long. You may find yourself without a vehicle until you can find a new one. The inconvenience of having to purchase a new car is more than just having it serviced routinely. You want your vehicle to last you for a while. Purchasing a vehicle is an investment. You wouldn’t buy a home and never take care of it. Your car deserves the same amount of time and care. Neglected maintenance impacts more than just the life span of your vehicle. Another thing to consider is the safety of your car on the road. A breakdown could happen at any time. You may be driving on the highway and suddenly lose control. This can result with you being involved in a car accident. You may be injured or someone else. A death may even occur due to your negligence. Having this on your conscious could haunt you for the rest of your life. Servicing your vehicle is a small price to pay for continued safety. 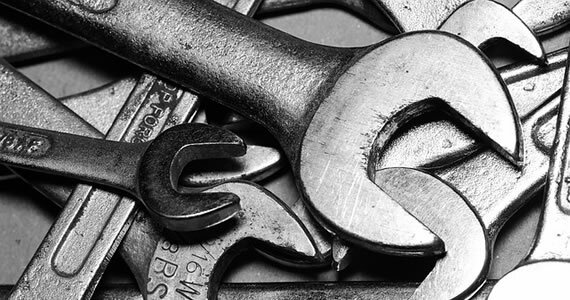 Maintenance is an important part of owning your vehicle. 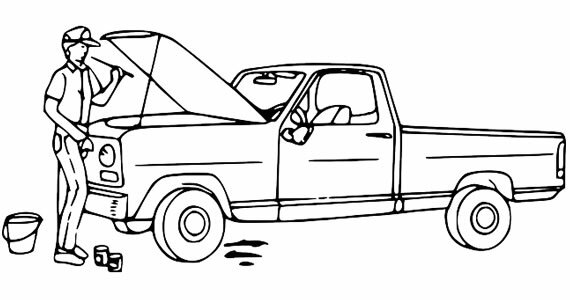 Take your vehicle to an auto shop two or three times a year (depending on how often you drive it). You can even go to one that caters specifically to your brand—such as a Nissan repair shop, for example. Neglecting your vehicle can result in a multitude of consequences that you most likely would rather avoid. How to Hire the Best Car Service Professionals for Your Car? Running and maintaining a car is an expensive affair in today’s scenario when fuel prices are high enough. However, the challenge heightens manifold when a car is not serviced well and shoots multiple troubles while on road. Investing in buying a car, does not end the story smoothly. In order to keep availing the benefits of a car, its best performance and for enjoying a smooth hassle free drive on road, getting your car serviced on a routine basis is essential. When you buy a car, and if you go through the provided company manuals and guideline documents you will find the suggestion of routine servicing from the manufacturer for the optimum scale of performance. Since running a car means wear and tear of several parts, exposing your car to the external conditions of pollution, dust, bumpers, rough terrains etc, offering adequate maintenance and servicing to keep all the parts of your car in best condition also becomes essential. Right from the mechanical to the electrical parts of your car, everything becomes essential when it comes to going for regular servicing of your car, and you need to hire the best car mechanics and certified professionals to set your car perfectly on road. However, to ensure that you get the best car service, it is necessary to get your car serviced by an authorized and expert mechanic. Repairs, new installations, replacements of car parts etc while servicing must also be done in accordance with the manufacturer guidance. Since a car as it gets older poses more problems, thus if taken care of from an initial stage through regular servicing and maintenance, it will serve a definite purpose of prevention over intervention in long run. Routine servicing helps to boost the performance of any car. As a study, the drivers are said to experience at least 10 to 15% rise in performance scale after a maintenance service, in terms of fuel economy. The fuel consumption of a car increases with the wear out of parts, low level of maintenance, low engine oil, accumulation of dust inside valves, etc, but regular maintenance removes these hurdles. Apart from helping each of the car’s parts to perform in the best possible way, best car service also improves the fuel economy by lowering the fuel consumption. Thus, the overall picture demonstrates how investing for routine servicing can save you money in long run, from costly repairs, expensive fuel charging, harassment from the sudden breakdown of the car in the middle of the road, etc. When you are out on the roads in your car, one of the major issues which need to be ensured is the safety parameter. A low maintained car can pose sudden problems with just any parts of the car, starting from tire bursting, to braking system malfunctioning to suspension disorder etc, threatening your safety. Sudden brake down of car may even lead to mishaps and accidents. Servicing helps you avoid harassment and problems in the middle of the road with sudden malfunctioning of the car. It even saves you from costly repairs, since you get to know repairing situations before it is too late. Enhances the performance of your car and offers it a better lifespan. Ownership comes with responsibility, and so does the ownership of a car. Like your own body, your house, office, and every other this, even your car requires routine and best possible servicing to perform well. Cars require regular basic maintenance services such as replacing engine oil or oil filter, assessment and correction of car safety measures, checking and repairing the cooling system and much more. Occasionally, the car may suffer some damages due to collisions and accidents and they require denting, painting, replacement of major parts, mechanical repairing and electrical repairing. In such cases, you need to consult with a reputed and experienced car repair service and they can easily repair and maintain your car in a proper way. But all you need to check their experience, license, certification and customer feedback before hiring. Reputed car repair services, stock only genuine spare parts manufactured by auto companies. There is no risk of the duplicity of spare parts when dealing with a reputed car repair agency. The customers are provided the authentic invoice from registered car dealers for the spare parts and they can also provide you limited warranty on these spare parts. A comprehensive car inspection is conducted to identify all kinds of major and minor issues plaguing the vehicle. A complete inspection report is made based on the inspection listing all the required repair works and their estimated cost. Many car repair services have started using the internet to connect with the customers. Such services offer the facility of booking the service online. The customers merely need to fill an online booking form. Customer will get their online confirmation through mail and they just need to attend the service center at the scheduled date and time. Most of the car repair services send frequent notifications on the mobile phones of their customers regarding the stage of the repair and the time left to complete the work. This is highly convenient for the customers. Even they can also provide you invoice details through mail and SMS. So, you will get the intimation from the car service on time and you can pick up your car within the scheduled date. 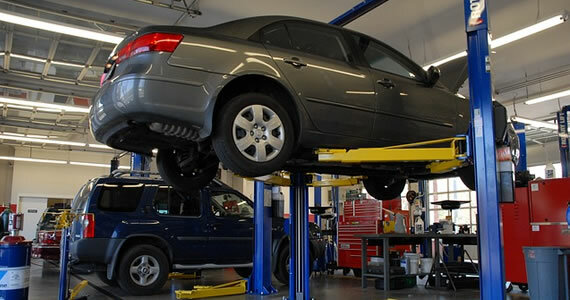 Home service can also be offered by a car repair agency. In this service, car mechanics are sent to the customer’s home or office. The mechanics come equipped with all the necessary tools, spare parts and other things to repair the car right in front of the customer. Apart from cash, the car repair services also accept credit/debit cards and online modes of payment. So, customer can choose any secured payment option according to their convenience. 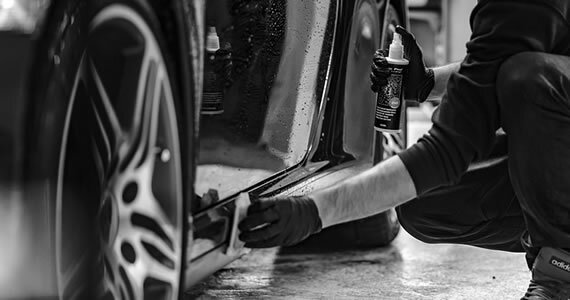 Bodywork is required after a collision or accident which causes damage to the body of the car. Bodywork includes dent removal and repainting. Dents range from major to minor and require expert work to restore the car to its original condition. 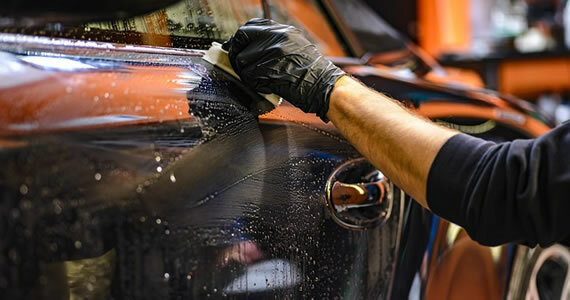 Replacement or repair of front or rear bumper, repairing/replacement of doors, and windshield replacement is necessary for any car and you need to repair these body parts by hiring reputed car repair service only. In case of serious accidents, bodywork can involve straightening the bent frame of the car. Brakes can be considered to be one of the most important parts of a car. Brakes undergo wear and tear and get damaged over a period of time. Accidents can also cause significant damage to the brakes. Brake service usually comprises of replacements of brake pads, brake fluids, sensors and cylinders depending upon the severity of the damage. Buying a car is a valuable investment done for a long period of time and its maintenance is equally important to ensure a long life. This can be done through getting your car serviced regularly from a service center or any local mechanic. Although you can manage some small repair and maintenance duties yourself, it is preferable to get it done from a professional who has the expertise to carry out the job quickly and with precision. Such a routine service will not only save you from any additional expenses in the future, but can also increase the performance of your car. Since tires alone are said to consume up to 20% of a car’s energy, it is important to keep them maintained and ensure that they are inflated properly to reduce its consumption of energy. Moreover, under-inflated tires flex and produce heat when moved, resulting in wearing out and reducing its life span. The engine is also forced to burn more fuel to make an UN-inflated tire move. Thus, in order to save money on excess fuel consumption and repair of damaged tire, you should visit a mechanic regularly and get the tire pressure checked and filled to the recommended amount. With the engine being considered as the heart of a car, it is important to get it checked regularly for any malfunctioning. The transmission is also an important feature that should be checked and repaired regularly as any fault in it can lead to your car breaking in the middle of the road while traveling which can be very inconvenient. Oil is again one of the most important components in a car that lubricates the engine’s heavy parts for smooth functioning thereby reducing energy consumption, protects engine from heat, water, and other tiny particulates. Thus, to ensure that the car has an adequate content of oil and is protecting the engine from any wear and tear and is ensuring efficient burning of fuel, it should be changed from a professional as they would ensure the correct oil is used for your engine amongst the wide range of oils available. Faults in the brakes can be caused either due to low level of brake fluids or due to dirty brake pads that cause the brakes to squeak. Since such a fault can lead to major damage to the brake with time, further increasing the chance of a fatal accident, it should be checked regularly. You can get the fluid refilled and brake pads repaired from a mechanic timely to prevent any major damage. The air conditioning in a car is another feature that poses frequent malfunctioning owing to prolonged use in the summers. To avoid this, you can get the dirty condenser of the AC cleaned regularly by a mechanic and save yourself from the expenses of getting it entirely replaced when the damage increases. Thus, these features make it vital for you to get your car checked and repaired regularly as there are some minute features of a car which may show signs of a fault that you may not be able to detect or repair yourself. So, it is important to get routine car services from a professional mechanic and not only avoid expensive repair or replacement of parts in the future but also find a reduction in the cost-per-mile of your motoring as well.